For most of us, buying a home is likely the largest financial transaction we will make in our lifetimes. Additionally, buying a home is a bit like getting married. As with love, fools often rush in on what is a commitment intended to last several years or even a lifetime. Many buyers “fall in love” with the cosmetic features of a home while failing to see the underlying flaws in the foundation. 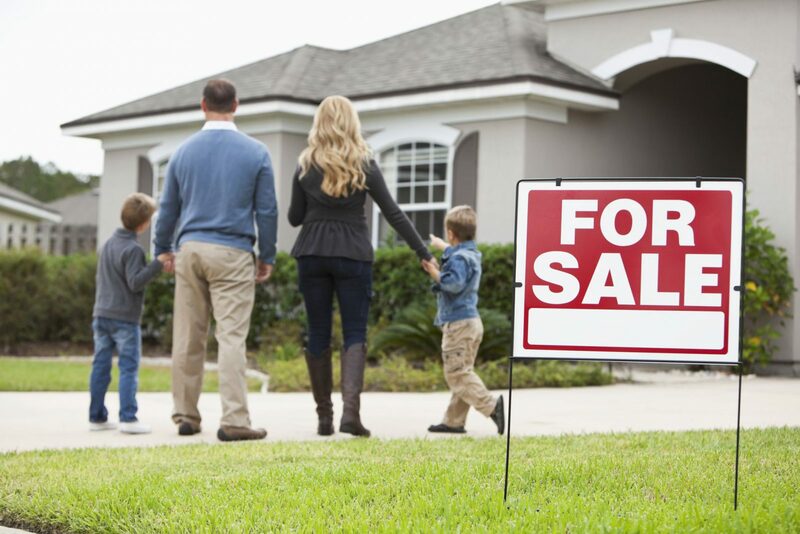 Because of the emotional, financial and other-life changing implications of home-buying, it is exceptionally important to carefully investigate and examine the homes you visit in your search and take your time to carefully assess the homes you are interested in pursuing before making a final decision. Even house flippers who are not interested in keeping the homes they buy, still have to consider the risks and return on investment of any potential purchase. Whether you are flipping a house for profit or you’re in for the long haul, use all five of your senses to catch five hidden things to look for when visiting a home for sale. Wild Cherry Trees have an attractive and visually appealing fruit, but also contain cyanide. It is wise to remember this analogy when viewing a home. It is the job of the homeowner and their realtor to put their best face forward to potential buyers by updating the paint and decor, presenting updated and carefully arranged furniture and generally providing a friendly and warm ambiance. But these efforts are usually entirely cosmetic and have nothing to do with the overall condition of the home. You will need to look carefully at the roof, exterior siding, windows, walls, floors and the overall structure itself to suss out the home’s quality. Open drawers, inspect tiles, look behind furniture and appliances for mold and water damage. Check out the roof and siding as best you can. Pay attention to the corners of ceilings, baseboards, light fixtures and fans for other signs of moisture or other problems. Open and shut closet and bedroom doors and lift rugs and floor mats. While a home inspector can provide a more detailed analysis of the plumbing and electricity in a home, there are some simple ways a potential homeowner can examine the state of plumbing and wiring in the home. Running water in the bathroom and kitchen, turning lights on and off. Ask about the age and warranty status of the radiator, boiler or furnace and inspect the fuse box in the home. Ask about the pipes. Are they insulated? Are they lead pipes which would need replacing? Finally, are there enough power outlets? Is your house wired for the newest smart home technology? Consider how many devices we rely on in our technologically driven society. Pay attention to the placement of the outlets in the rooms, the age of the wiring in your home and the overall wiring design. Will the outlet availability support your lifestyle? If there is music playing in the background of a home while visiting, you may want to request that the realtor turn the music down or off. It is important to assess how the house sounds. Consider whether the furnace or appliances are noisy. Tune into how voices, music or television in one room can or cannot be heard in another room. Listen for echoes and other sounds of the home. If you are purchasing a condominium, this can be particularly important as you might be sharing walls, ceilings, and floors with other homeowners. Additionally, travel outside the property and tour the grounds and listen to the neighborhood. Are you near a major road or highway? Airport? Large stadium or concert venue? Listen to the sounds of a property to ensure that noise pollution is not a factor in your purchase. If while visiting a home, you notice that the listing agent and homeowner have layered candles with scent sprays with plug-ins, that might be a sign that they are hiding a problematic smell. Ask if any of the former homeowners were pet owners or smokers; whether there has been any history of flooding or mold and mildew; if any pests such as birds, squirrels, raccoons, or mice have gotten into the home. Are scent enhancers overpowering or just adding to the overall ambience? Either way, do not let the candles and scent enhancers distract you from doing a thorough examination of the home. Additionally, take a whiff when you tour the grounds of the property outside. Is the neighborhood near natural wilderness areas? Is the neighborhood in a more industrial area with factories? Are there restaurants and bars nearby? Is this a home in a rural area where there are factory farms with animals within 20 miles? The types of businesses and structures and landscapes, or lack thereof in a community, will produce smells that can permeate your home and yard and make life very unpleasant at times. When buying a home, particularly in Southern California, keep in mind that many homes are older, surrounded by aging infrastructure, and increasingly vulnerable to environmental risk. Be sure to get a thorough home inspection before buying and invest in the best possible home warranty once you have made your purchase. Remember to use all five of your senses when inspecting a home and don’t let your emotions cloud your judgment on what is surely one of the most important decisions of your life.